It is important to cultivate a heart of thankfulness. God has done everything for us and He deserves our thanks. But the Bible not only instructs us to thank God, in it we are encouraged to give thanks to and for one another as well. Want a new way to say thank you to someone? Invite them over for supper and at the beginning of the meal offer a toast to them. Gratitude expressed in front of others is powerful. Your toast can be written ahead of time or given extemporaneously – either way, it will bless. Whether your aim for a Shakespearean sonnet or a modern rap, put your thanks into rhyming verse and it will never be forgotten. Roses are red, violets are blue, this is my way to say thanks to you! We know you can do better. Put something delicious in a decorative jar (hot cocoa mix, rice pilaf mix, flavored coffee beans) and then make a fancy label with the word THANKS front and center. Similar to the jar idea, a gift bag can also express your thanks. Tuck in something special (not necessarily costly) underneath folds of colorful tissue paper. Put a bold monogram on the bag along with a tag saying Thank You. Nothing says thank you quite like saying thank you….in so many words. 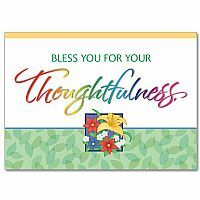 Choose a religious thank you card that suits your personality – serious, whimsical or straightforward – and then compose a note telling them how grateful you are to them and, more importantly, why. Specific thanks will encourage the person tremendously. If you are thanking someone for a gift, take a selfie with the present and include the photo in your card. At The Printery House we have a wide selection of cards from which to choose. Whichever kind of religious thank you card you seek, we are sure to have one to suit. We encourage you to thank the people in your life in all kinds of ways including sending them a handwritten card! This entry was posted in Religious Thank You Cards and tagged religious cards, religious thank you cards, Thank You cards, The Printery House on October 31, 2014 by admin. Childhood birthdays are fun for everyone. Children anticipate the day that they are the center of attention all year long. You want to make that day the very best it can be…and the most memorable. Kids may remember the year they got a bike but, for the most part, the gifts are lost in the mists of memory. It’s the traditions and special trappings of birthdays which live long in a child’s bank of memories. To help you make your child’s birthday truly memorable, we’ve put together a list of fun ideas we’ve come across. Find at least one that you can try this year. While your little one is sleeping, creep into their room and fill it with balloons. A bumper crop of balloons when they awaken just screams HAPPY BIRTHDAY! Hanging colorful streamers in the doorway is also lots of fun. Don’t wait until dinner time to have a family party – start at breakfast. You could bring your child breakfast in bed for their birthday or take them out for a special morning meal. Make sure the family table is decorated first thing in the morning, complete with balloons, streamers, confetti, party hats and noisemakers. Birthdays are an all-day affair. Set out baby photos as part of your celebration. If you write “honk, it’s my child’s ___th birthday” on your car windows you can get perfect strangers to join in your all-day birthday celebration. This is like having your very own birthday parade wherever you go that day. All day long answer phone calls with something like “This is _____’s birthday, his mother speaking”. Your child will get the message that they are a person of special honor. Kids love to get mail. Make sure you send your child a birthday card. You might hold onto cards that arrive early and then load the mailbox on that special day. It’s okay to decorate the mailbox too. When your child receives a Christian birthday card what do you do with it? Let those cards stay out where your child can see them for a week after their birthday, then put them in a special folder to be brought out year after year. The birthday card folder can join baby pictures on the birthday meal table. Seeing them year after year will impress them in your child’s memory. They will always recall that they had birthday greetings from loved ones far and near. If it’s your child’s birthday, or the birthday of another child in your life, make sure you send a card worth saving. Send a Christian birthday card that references faith in God as the giver of all good things – including your special young person. Check out our selection of birthday cards at The Printery House. 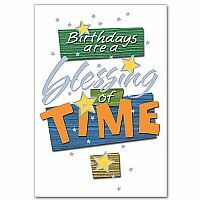 This entry was posted in Christian Birthday Cards and tagged birthday cards, Catholic birthday cards, Christian birthday cards, religious birthday cards, religious cards, The Printery House on October 28, 2014 by admin. Most of human behavior is learned through mimicry. Language is acquired as babies imitate the sounds they hear around them. Children learn to say “please” and “thank you” as they observe parents using them. If you want your children to get to know God through personal study and meditation – you can show them how it’s done and they will learn from watching you. Here are some ways to help you, the parent, teach and train your child(ren) in this lifelong discipline. Christian gift stores can help you provide the tools that you could use to help in the process. The power of personal example is hard to overstate. Your children can learn best by seeing you reading your Bible and spending time alone in prayer. For many Christians down through the centuries, the best time for an unbreakable appointment with God has been in the early morning. That is not a command from God, however. If it is easier for you to be faithful at night, then go with what works best. The important thing is to carve out time for your devotions on a regular basis. At first, it may help a child to join you for your devotional time. This will probably mean cutting your own time down to suit their shorter attention span. Look in Christian gift stores for a child’s devotional bible that they can quietly read to themselves in the room with you. Many of these bibles have questions for thought included. Family devotions can also serve as a springboard into personal devotions. This means more than simply reading a bible passage. It means talking about it and putting yourself (or them) in the position of the hearer or the speaker. It also involves asking one another what the passage teaches us about God or what it says about how we should live. This kind of thoughtful reading habit will serve your child well in personal times of bible reading. Teaching your child to pray for themselves is an ongoing process. Early on, you can pray for your child at the table, at bedtime and through the day. However, it’s a good idea to let them speak prayers as an act of devotion as soon as possible. Check out the tools to help with this at Christian gift stores. Bedtime prayer dice or table prayer dice can be fun ways for young children to read prayers. Later on, invite children to learn to speak to God about what they read in the bible. Your model of simple prayers based on what you’ve read in the Bible will help him see how to start conversation with the invisible God. 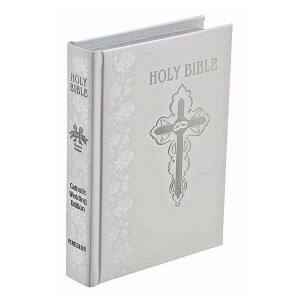 As your child grows, bible study materials and devotional materials from Christian gift stores can also be added in. You make time to teach your children how to tie their shoes, make their bed and cut their food. You teach them how to say “please” and “thank you”. Teaching them to spend time alone with God is so important. Visit The Printery House to find more tools to help you. 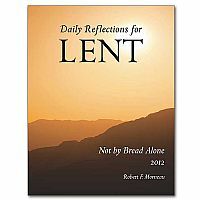 We offer a wide range of personal devotion tools to help your child develop a special quiet time habit. This entry was posted in Christian Gift Store and tagged Christian gift store, Christian gift stores, online Christian gift store, online gift store, The Printery House on October 24, 2014 by admin.